Creative world map sticker illustrating a puzzle piece with a 3D effect. A vinyl decal that will make your home or office stand out. 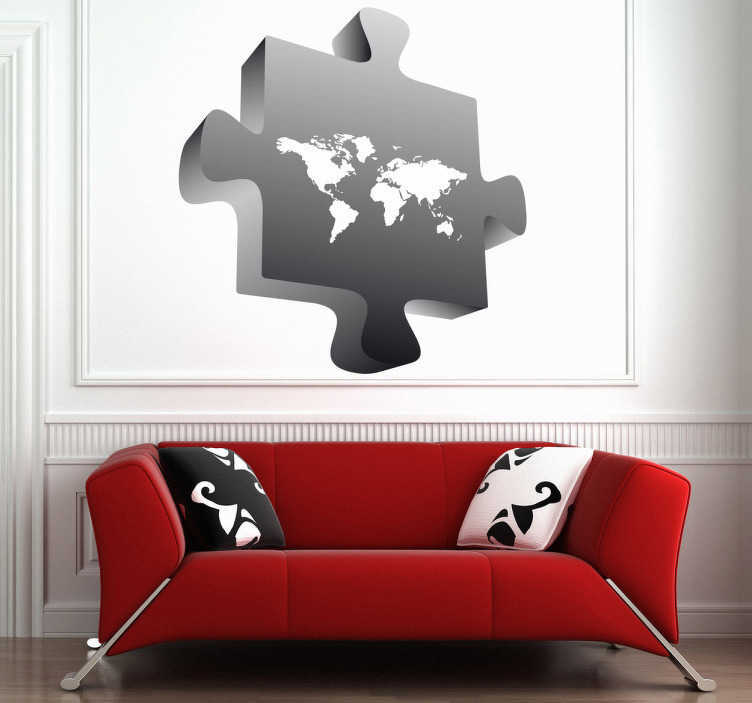 Design your wall with this innovative wall decal of a 3D puzzle piece in which the world map can be found! This creative sticker makes your wall the absolute eye-catcher and plays mind games with you! Choose the one that best fit the surface of your preference.